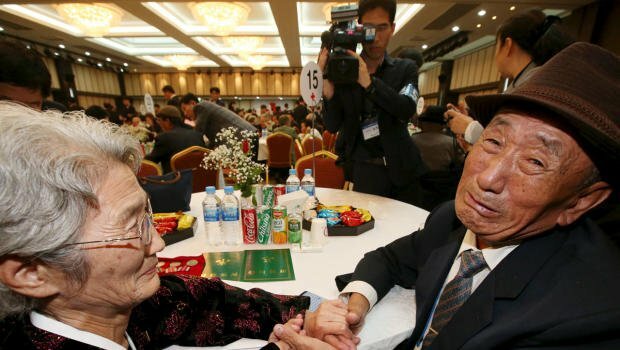 About 250 South Koreans have met relatives in North Korea, in the second of two organized reunions for family members separated by the Korean War. The South Korean group has been allowed to travel for three days of meetings at Mount Kumgang resort in North Korea. Another group attended reunions earlier this week. For most of those attending it is the first time that they have had any contact in over 60 years. Millions of Korean people ended up separated from loved ones by the physical division of the Korean peninsula. The reunions taking place this week are only the second round in the past five years. The South Koreans were chosen using a computerized lottery system from among thousands who applied. Often accompanied by family members, they traveled in a convoy of buses from South Korea to meet their relatives. Given their age and the infrequent nature of these reunions, they are unlikely to ever see each other again.